BlackBerry Gemini photo | BlackBerry Blast! The BlackBerry Gemini is somewhere between the 8300 and 8900. 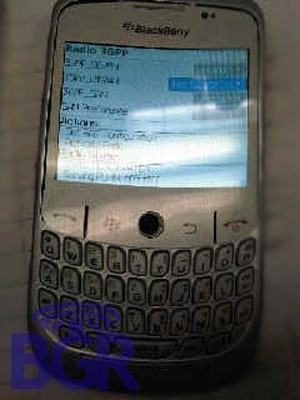 It's an updated BlackBerry Curve running OS 5.0 on a Quad-band GSM/GPRS/EDGE phone. Other notable specs are 320x240 resolution, WiFi 802.11b/g/n and a 2 megapixel camera.